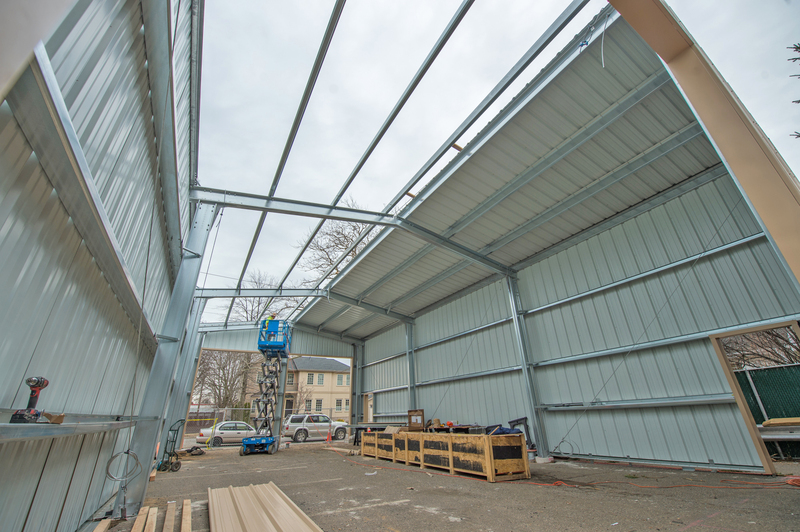 Significant progress has been made on the construction of the temporary firehouse on S. 12th Street in New Hyde Park. 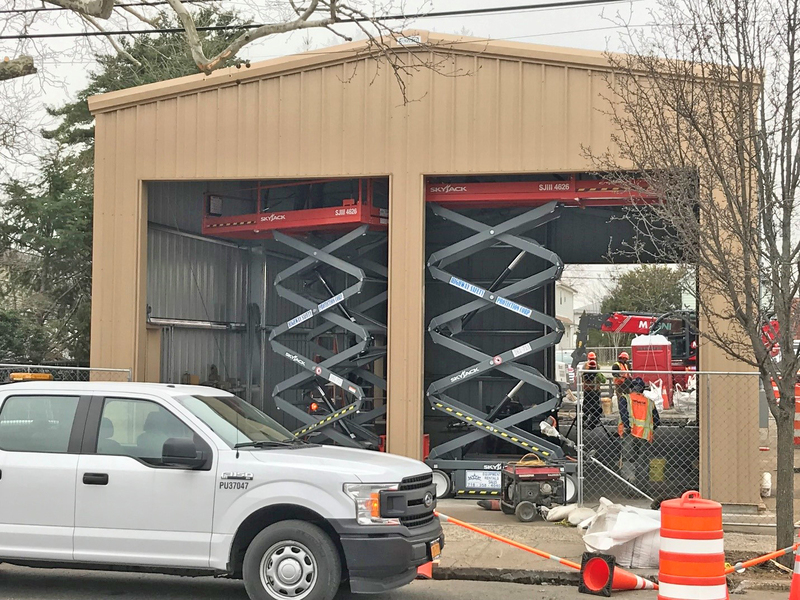 With the Covert Avenue Grade Crossing scheduled to close on April 15th, the LIRR Expansion Project is providing a temporary structure to provide easier access to emergency services for residents on the south side of the mainline, as both of New Hyde Park Fire Department’s current facilities are on the north side. 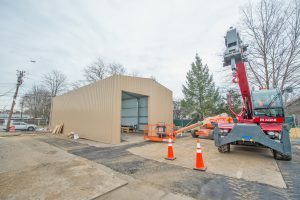 The temporary firehouse is being built at the request of the Village of New Hyde Park and the New Hyde Park Fire District. The Fire Department will station an ambulance and other equipment at the facility. The closures at Covert Avenue and New Hyde Park Road presented a challenge to the village’s emergency services operations, as both of its firehouses are located on the north side of the mainline tracks. 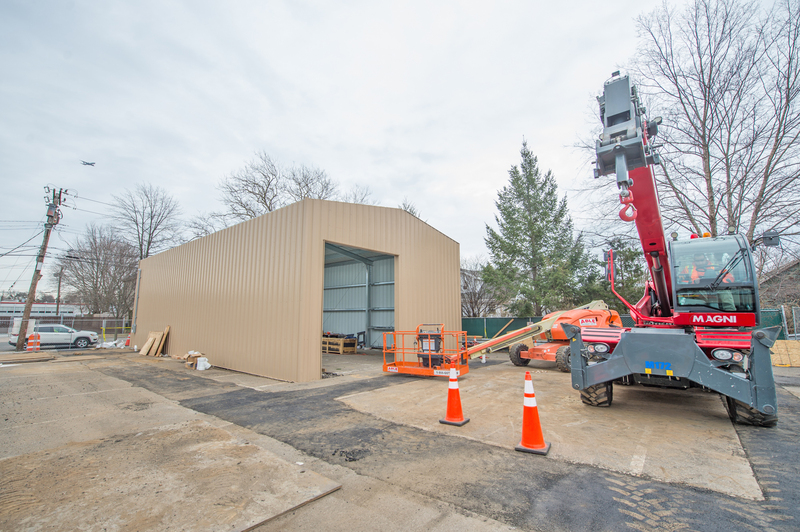 The temporary firehouse better positions equipment to respond to emergencies on the south side of the tracks. Once the grade crossings are replaced with underpasses, response times are lkely to decrease, as emergency vehicles will no longer have to wait for crossing gates to rise. During construction, however, the situation needed to be addressed: MTA Capital Construction, in consultation with the Village of New Hyde Park and the New Hyde Park Fire District, came up with a creative solution, the construction of a temporary firehouse on the south side of the tracks at S. 12th Street and 3rd Avenue. 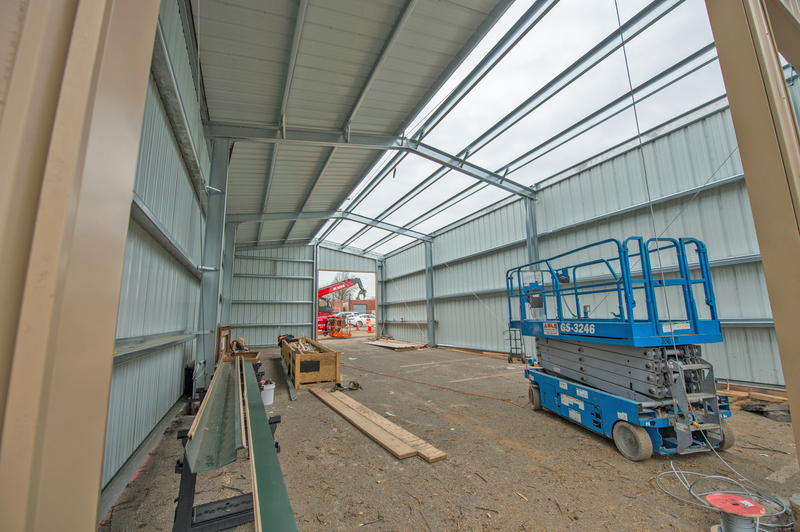 The initial structure, depicted below, is expected to be completed in July. Once the temporary firehouse is completed, the New Hyde Park Fire District will be able to station fire and ambulance equipment on the south side of the tracks and respond to emergencies without any potential delays because of the closed grade crossings. The plan is typical of the unprecedented community involvement the LIRR Expansion project has demonstrated from the outset to minimize impact on the neighborhoods where work is taking place.